Carl Exss limited production oversized 18K gold and stainless steel skeletonized wrist watch. 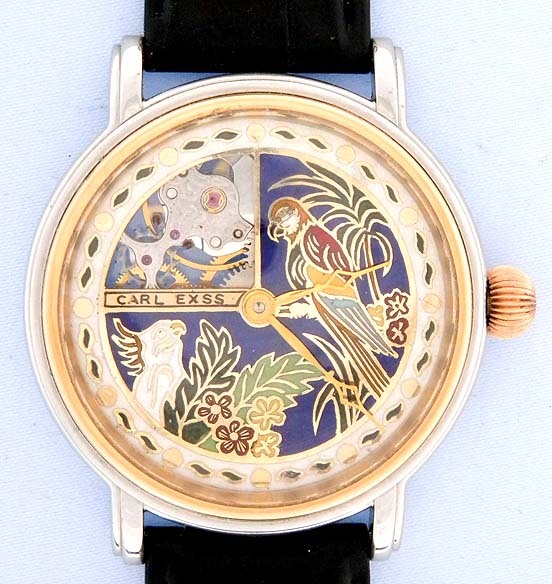 Lovely 18K gold and cloisoinee enamel dial. Screwback exhibition back case. 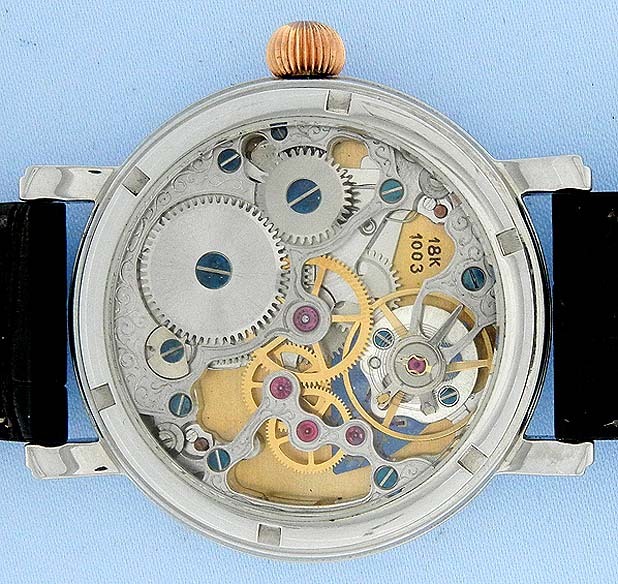 Engraved 17 jewel movement.